Along with our exceptional San Francisco jewelry collection at our three locations in the city, Padis Jewelry is also proud to be among the top Napa Valley jewelers. 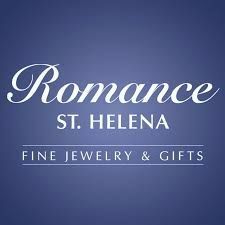 Our Napa showroom is located in the center of northern California's beautiful wine country in St. Helena, CA, and offers the area a full-service jewelry, watch and gift store. Just as our customers have come to expect from our San Francisco locations, our Padis Romance showroom displays an incredible array of certified loose diamonds as well as jewelry from the world's most desirable designers and watchmakers. Whether you are looking for an engagement ring, wedding ring or a fine timepiece our Napa jewelers can help you select that perfect piece that speaks to your personal aesthetic and lifestyle.